Offshore outsourcing is a solution to several problems that the small-to-medium enterprise (SME) owners and new entrepreneurs have to endure for running a business. In fact, a lot of SMEs nowadays believe that outsourcing is an inexpensive method to save tons of valuable resources. Your goal is to maximize your business’s functioning and output while minimizing the expenditure of time and money. However, it is almost impossible because you have to ensure that reducing the cost of raw materials will not affect the quality of products or services. In addition to that, the employees’ healthcare plan, taxes, training, gym membership, bonuses, and the like are also part of the budget. In the end, the business owner has to pay 1.5 to 3 times higher than the standard salary of in-house employees within their country. As a small-time entrepreneur, it may seem impossible to save your valuable resources without compromising the business’s output and employees’ productivity. But through outsourcing, they can be possible. Outsourcing is a process of hiring an external organization or worker to perform a certain business’s project or process to eliminate cost. Offshore outsourcing refers to hiring a third-party organization or worker based in another country to minimize the business’s functioning or production cost further. There are several aspects of your business where it can help you. There is no need to be concerned about paying your employees’ healthcare plans and benefits anymore. In fact, the salary that you have to pay for a remote employee located in a country with lower cost of living is 50%-80% cheaper. It is impossible to entice a highly-experienced professional to work for you at a lower-than-usual rate. But through offshore outsourcing, you don’t have to worry about finding a skilled worker anymore. The outsourcing companies, especially the ones in the Philippines, have experienced and well-trained staff. Moreover, if somebody in your in-house employees gets sick, finding a temporary or full-time replacement will be easy, and you do not have to employ a Human Resource to take care of the hiring process. Instead of worrying about several aspects of your business, you can finally devote your time to the important areas of the enterprise. Why the Philippines Has the best Outsourcing Companies and Workers? The Philippines is always among the top choices for offshore outsourcing. The Philippine business outsourcing industry has all the qualities that the most employers are looking for: the low labor costs, talented workforce, and high flexibility of the Filipino people. In fact, they can work in graveyard shifts and learn how to speak like the native-English speakers to adapt for their clients. It is true that you cannot supervise the delegated outsourced task as closely as you want. Once you give your instructions to the remote worker or the outsourcing industry, you just have to wait for the results. But despite this fact, you can get some updates to keep track of what is happening to the project. Moreover, delegation is important in business especially if it is in the growing process. Trying to control all the areas of your business without delegating a task will only impede productivity. Leaving out the other details is possible because it is time-consuming. In some instances, revealing the secrets in your business to your employees or a remote worker or an outsourcing company is necessary for the successful outcome of a project or task. It is unavoidable to worry that the others might disseminate this information. Thankfully, the outsourcing industry in the Philippines adheres to the Republic of Act No. 10173, also known as The Data Privacy Act of 2012. The law aims to protect personal information and privacy of the private individuals. It applies not only to businesses and companies based in the Philippines but also to equipment and information found in the country. As explained before, trying to be in control in every aspect of your business is time-consuming. Consider that you can save a lot of time and money if you delegate a task which you have little knowledge of to the experts. Moreover, appointing tasks does not mean that you are not managing at all. Most of the time, the remote worker or the offshore outsourcing company will inform you about the project’s progress. They will consult you about the possible steps that they plan to take and let you decide on it. Although you can temporarily hire an in-house employee to do the job, you will save more of your resources if you outsource overseas. Some SME owners are skeptical about offshore outsourcing because they do not trust that the other country’s English skills can be as good as the native speakers’. However, it is not completely true. Honestly, the Philippines has received a 60.59 rating for EF English proficiency index in 2017, ranking as the third among the other Asian countries. Moreover, the Philippines ranks as the fourth country in the world that has the most English speakers. In fact, the 92% of the population can speak English because it is their second official language. The Philippines is famous for its workforce. Most employers around the world believe that the Filipinos are industrious, creative, meticulous, and adaptable. In fact, “The ability to work on a graveyard shift” is one of the common requirements of the majority of business process outsourcing (BPO) companies in the country when hiring talents. It is important so they can compensate for the considerable time gap. There are a few people who might have had a bad experience in offshore outsourcing, and it happens in every industry. 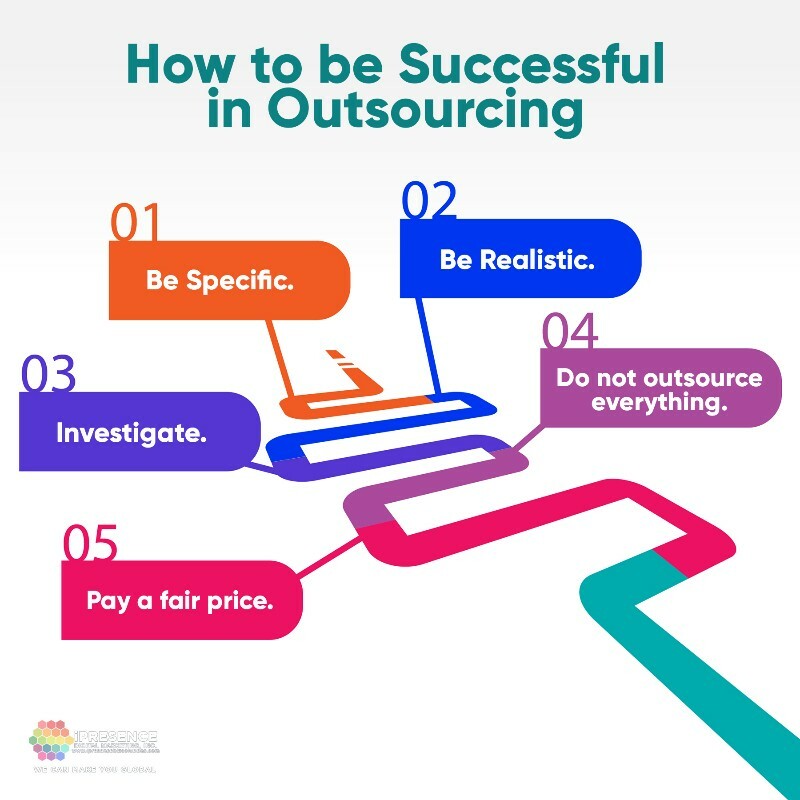 They try to persuade other people to believe that outsourcing is not a good idea without realizing the mistakes they made in the first place. Honestly, even huge companies do outsource their business functions and projects overseas too. It only means that outsourcing is a practical method. To have a successful experience in outsourcing, you have to know these pointers to maximize its advantages. Remember that you are dealing with people located in other parts of the world. For this reason, communication barrier is possible. To eliminate this problem, be as specific as possible. Provide clear and complete instructions. An example is indicating if there’s a particular app or software that you want to be used to render the project. Specify the services that your business needs. The offshore outsourcing industries in the Philippines delve into various kinds of services, which include knowledge services, business support, internet marketing, programming, and creative services. Some companies offer the two or more of these services. Remember that you are working with humans. Even though you are paying a cheaper rate to highly-skilled and diligent Filipino workers, it does not mean that they can do magic. Do not set impossible deadlines because you will only get a crappy outcome. Finding the right offshore outsourcing company to work with requires some research. Although reading articles on the Internet can be helpful, you cannot trust them all. Take note that some of those articles are paid reviews. That is why it is important to investigate on your own. The best thing to do is to learn how long the company has been in the industry. Even though there is nothing wrong to hire a newly established company, it is still safer to work with the ones that have been in the industry for several years. iPresence Digital Marketing, Inc. has been around for almost 17 years and still going strong. Their mission is to make their clients global by providing SEO-friendly services that are also engaging. 4. Do not outsource everything. Offshore outsourcing is helpful to the SMEs. However, do not expect that they will do every function of your business. Remember that outsourcing companies are third-party organizations. They have their own companies to manage. You can expect that they can help you with some of your business tasks but not all of them. Moreover, even though the Philippines follows the Data Privacy Act, it is still safer not to outsource a task that requires revealing your business’s private information. 5. Pay a fair price. Remember that even though you are paying the remote workers 50% to 80% less than the standard rate your country pays employees, do not expect that they will accept a penny for a project. Remember that these workers have invested their time and money just to learn skills and buy the necessary equipment to complete a project with amazing results. Do not insult the offshore outsourcing industry workers by paying them less than what they deserve. Think about it this way: If you have an in-house employee, do you think he or she will be inspired to do his or her best for the job if the pay they receive is lower than what they deserve? You know that the answer is no. 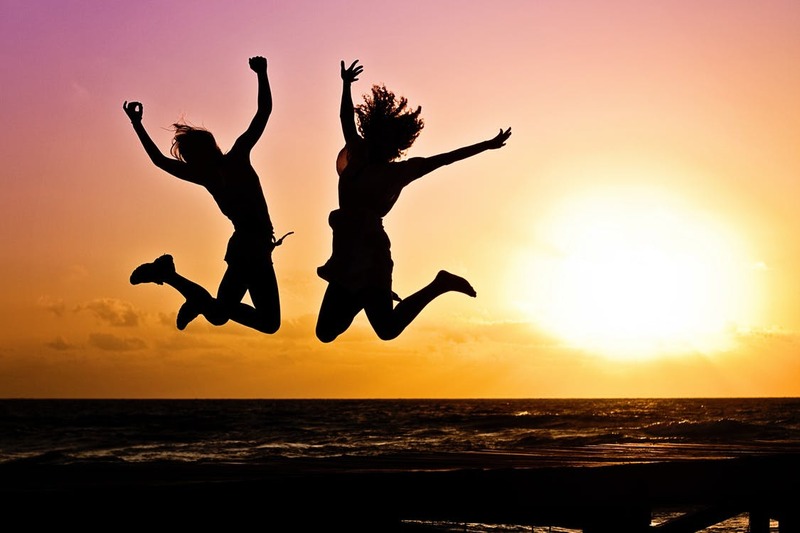 For this reason, if you want to receive high-quality results, a win-win deal is a must. Offshore outsourcing is an ideal method to save on the cost of services and workforce. It is ideal for small-to-medium scale enterprises and new entrepreneurs who need to work around on their budget to accommodate all their business’s needs. This method has helped a lot of small business enterprises. In fact, many of them have made it big in the business world because of offshore outsourcing. Among these companies are Fab, AppSumo, GitHub, and more. If these start-ups grew and became famous with the help of outsourcing, it is possible that you can become one of them in the future. To learn more information about offshore outsourcing, visit the Outsource Accelerator. The company provides helpful advice and information about outsourcing through e-books, blog posts, guides, podcasts, and more. They have also created The Source which is a page where you can learn more or share your insights about offshore outsourcing.